Eddie Gormley could have a serious selection headache ahead of Bray's vital game against Gslway Utd. on Friday night. Gormley will have to plan without long term injury victim Paul Byrne and the suspended Derek Foran who are definitely out, while there are serious doubts about central defender Chris Deans and winger Gary Mc.Cabe who both have Ankle knocks,and defender Gary Croninhas a thigh Injury. Speaking yesterday Gormley said "I was very disappointed on Monday night to lose the game, I thought there wasn't much between the sides,they got an opportunity and scored. We were solid at the back and did o.k in midfield but we never showed up front and never looked like scoring". He added "We worked hard in training this week to come up with a few new ideas, to go there and win, draws are not much use now, it will be difficult, they are very good at home and will be keen to get back to winning ways after last Monday". CAN ROB BEAT THE WORLD RECORD FOR EATING 6 JAFFA CAKES IN A MINUTE?! Join Rob and Laura for 'The Freshly Squeezed Challenge' tomorrow where Rob will lead the way in our October record breaking Friday attempts. He will try and beat the Guinness World Record for eating 6 Jaffa cakes in 1 minute, (something I cannot wait to see and promise I will give you a blow by blow account of what I'm seeing!!). We are looking for people to take part every Friday in October and win themselves weekends away, concert tickets and loads more great prizes, aswell as maybe getting themselves in The Guinness book of World Records! Freshly Squeezed- live from 6. WIN SOME GREAT CD'S ON NEVER GONNA GET IT!! This week we're talking about a Famous Artist. 8am: This artists first three albums (and his fourth to a lesser extent) have received numerous award and critical acclaim. 8am: This artist’s influence’s range from '70s R&B, to synth-pop and classical music. Bray Wanderers welcome St. Patrick's Ath. to the Carlisle Grounds. (Monday 28th September K.O7:45) for this crucial must win League Game. Team News for the Wanderers is as follows. 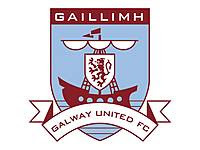 Gary Cronin who limped out of Friday's game against Drogheda Utd, with a bruised thigh will miss Monday's game as will long term injury victim Paul Byrne. Manager Eddie Gormley will have Gary Mc. Cabe and Derek Foran who both missed Fridays game available once again for selection. We will have live updates on East Coast fm from 7;30.